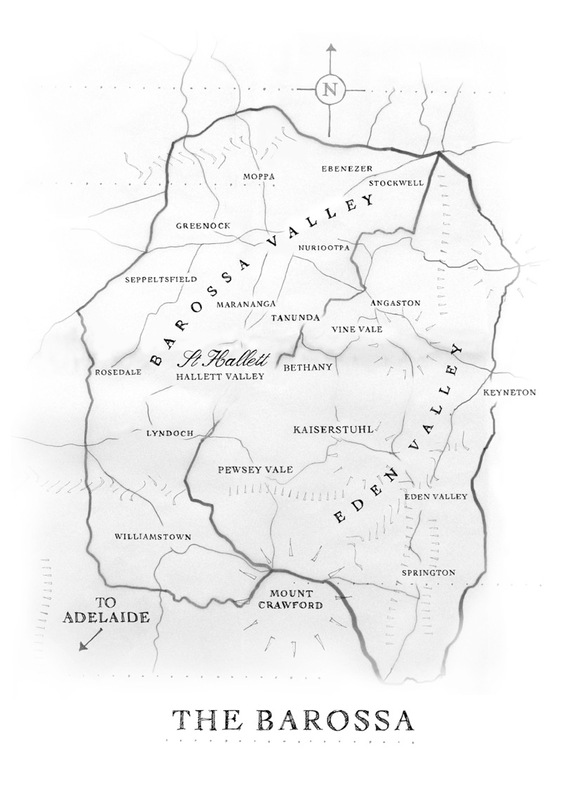 The Barossa consists of two distinct regions, Barossa Valley and Eden Valley. These two Valleys provide the St Hallett winemaking team with a diverse tapestry of vineyards to create the finest Barossa wine. Interesting blocks make interesting wines, which is why our team at St Hallett Wines has scoured the Barossa to choose the very best sites, and has worked with growers throughout the Barossa to source vines with the right characteristics. By meticulously keeping our parcels separate our winemakers can consistently craft high quality wines with a depth of flavour that represent particular areas of the Barossa. The wines of Ebenezer consistently display rich opulent middle palates and velvety tannins. This is the most southern part of the Barossa and borders onto the Adelaide Hills wine region. This is the warmest part of the Barossa Valley and often our first pick of Shiraz. The Shiraz from this area has a classic chocolatey texture and mouthfeel supplemented by plummy and juby flavours in the soft middle palate. This area in the north west of the Barossa is home to some of the oldest vines. Shiraz from Greenock has a deceptive eucalypt and slightly menthol aroma which belies the concentrated black fruit flavours. Tiny North Western region of the Barossa Valley. Deep purple colours, violet and floral aromas meet immensely generous blackberry flavours in this Shiraz. The most elevated area of the Barossa Valley; some vineyards command sweeping views down the valley. Typically the wines have lovely supple grainy textures. This northern area of the Barossa often include some interesting peaty and tarry characters amidst the full middle palates. The lowest and most northern part of Eden Valley, Moculta is always the first Riesling that we pick in this part of Barossa. Riesling from Moculta provides powerful citrus flavours, while Shiraz has serious levels of minerality. The East side of the valley is less undulating as one travels east toward the hot warmer plains along the Murray River beyond the boundaries of Eden Valley. The Barossa has a diverse topography of valleys and slopes with elevations ranging from 130 metres in the southern Barossa Valley, through to 550 metres on the cool elevated ridges of the Eden Valley. With ancient landscapes dating back 200 million years, the Barossa is covered by a patchwork of soil types ranging from deep red and brown clay loams on the valley floor, through to shallow and rocky sandy loams on the eastern and western ridges.